Kids’ friendships today revolve around social networking, but it doesn’t replace or teach the skills of face‐to‐face friendships. Help kids develop both types of healthy peer relationships. Incorporate some group learning classroom activities. Discuss appropriate (& inappropriate) online behavior. At home, enroll kids in programs with their friends & invite friends over after school & on weekends. The results are worth the effort. 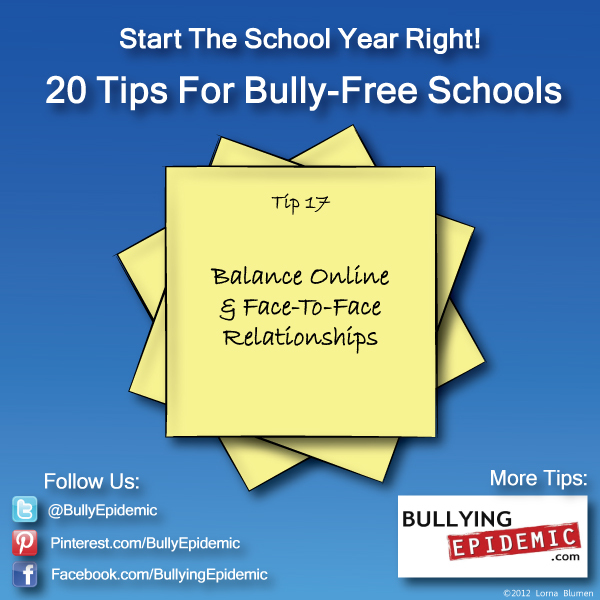 For Tips To Make This a Bully-Free Year!